Broadsoft is one of the leading IP phone systems solutions available in the UK. They offer on-site and hosted VoIP telephony solutions. iEntry Systems, is the Authorized CyberData distributor for the UK and we also ship globally. We stock a cutting edge range of indoor and outdoor broadsoft certified door phone systems. CyberData recently passed interoperability testing with Broadsoft. This includes all CyberData’s SIP enabled IP endpoint range of products. The most common is the broadsoft door phone. However, other IP endpoint solutions include: IP speakers for mass notification and IP notification devices for phone call alerting. These include: IP office ringers and visual strobes that flash when a phone is ringing, call waiting etc. In this post we are going to show you the paperwork from broadsoft. We think this is the best form of interoperability testing. “Direct certification”, some other systems say they work with Broadsoft, through their own internal testing. Which is great, our product has interoperability testing at that level. However, with Broadsoft for Broadworks the certification and paper was written by Broadsoft themselves. The paper was put together by their own technical team. They tested the indoor broadsoft door phone and the external models. We are going to outline all SIP enabled products available. More importantly, show you how it all sets up and configures. The great news is, it’s all really easy and straightforward to install. Furthermore, this is no different than installing a certified IP Telephone. All Broadsoft secure entry phones are sip enabled for Broadsoft IP telephony integration. They integrate to the networking infrastructure with a solitary LAN cable. They add smart endpoint technologies which aid building automation and remote access control. If your door access project requires the need to dial multiple extensions, then you would need the keypad version. Which is a true door phone. It can take and make calls into the IP based telephony system. This is no different than using an IP phone within the building. 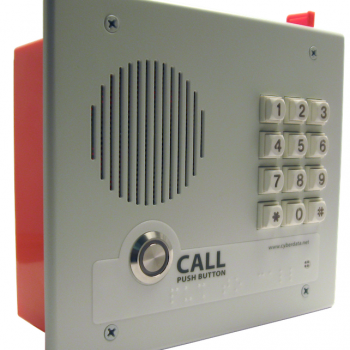 You can see the full product page here > for the Indoor broadsoft keypad door phone. 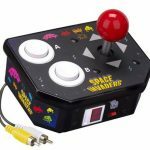 The keypad version is available in both the indoor and outdoor options. The keypad version can be used for PIN coded access. When using this secure entry feature, the door phone acts as a single call button intercom. For example, you could set the call button to dial a single extension (form hunt groups). Then use the keypad to unlock the door or automated barrier. You can pre set PIN codes in the web-page GUI. Both indoor and outdoor models feature a call button only option. 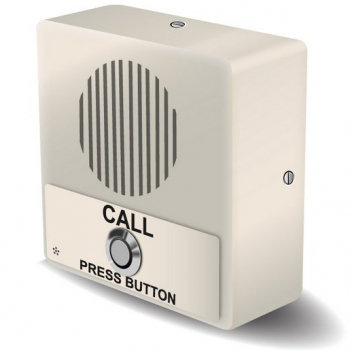 This intercom is probably the most popular we sell. Although this version only has one button that can initiate a call, if your IP-PBX and phone system allows, you can also form hunt groups. For example, you could have a feature code set up on your phone system. This feature code could be 500, within the intelligence of your phone system, set this feature code as part of a hunt group. That one call from the door phone can then reach multiple desks, ip phones and mobile phones. The external sip barrier phones are perfect for just that. Barrier and site entry locations that also include automated gates. A SIP barrier phone example with Broadsoft telephony integration: Lets look at a high school new build, although if you think about “Site Entry”. All End user establishments have a site entry point. Lots have automated gates and barriers. 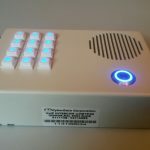 If you can not run an internet connection (through a cable) to the site entry point, take a look at this wireless SIP intercom solution. The End user, the high school, has several automated barrier points on location. The High School is also using a Broadsoft SIP Telephony solution for their communications. At each barrier point they would like a secure entry device. They want this barrier phone to be able to call and reach offices and desks within the main building. The installer, working with the End User, set up the CyberData 011186, which is a broadsoft certified secure entry intercom. We don’t refer to this model as a “phone”, because it has no keypad. Making use of the High Schools already installed POE switch, the installer quickly integrated the barrier intercom to the Local Area network. With POE, no separate external power supply was required. This made the installation quick and hassle free. The last thing to do was set a relay code. For example 545467. When the Broadsoft intercom called an IP Phone. For this example, the End User was using Polycom IP Phones, the call handler would input “545467” into their Polycom IP phone and the barrier would open. Lets recap: We are the authorised Cyberdata distributor and we ship worldwide. CyberData manufacturer a powerful range of VoIP secure entry phones and Public Address IP endpoints. Broadsoft directly certified Cyberdata for interoperability with their Broadworks telephony platform. You can see the paperwork here. We stock and sell a powerful range of indoor and outdoor Broadsoft door phones. All door phones and intercoms are used for secure entry and access control. Do you need us to work on your secure entry project ?